Over the past three years, the One Woman Project team has reached more than 20 000 young people through our in-school educational programs and workshops. 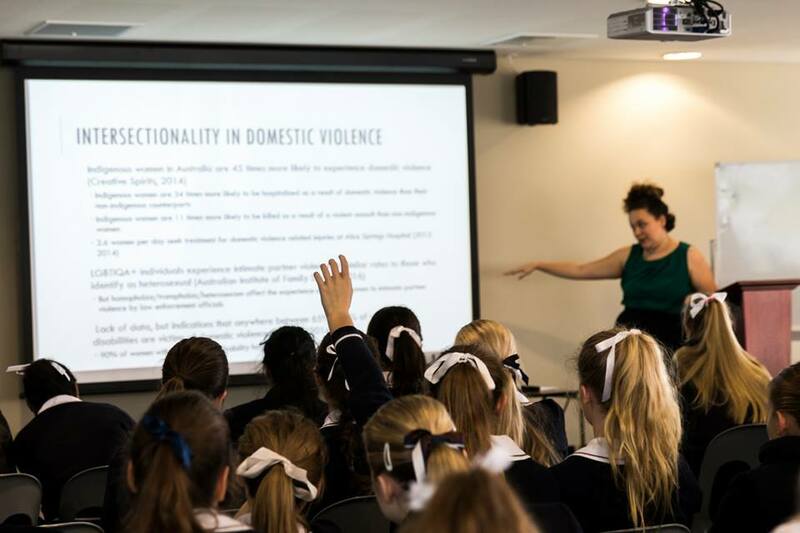 These interactive workshops, delivered both in Australia and internationally, provide high quality, engaging and educational content surrounding issues of global gender inequality. Suitable for students in Years 5-12, these workshops challenge young people to think critically about the world around them, and about the roles, stereotypes and prejudices they experience on a daily basis. Multi-week programs (one session per week for three weeks+). For more information about these workshops, pricing and availability, please view our prospectus below, or email info@onewomanproject.org for more information. We are currently taking bookings for our 2019 calendar! What will your students receive from the program? The program will empower your students with the knowledge, skills and necessary tools to create active and sustainable change in a global society. The program will give your students up-to-date, academic knowledge of issues surrounding gender inequality in a global context. Through the program, your students will have the opportunity to network and connect with like-minded students and facilitators, exploring their passions in this field. “I believe that women and girls (and boys!) can do anything they want to. If a girl wants to be a pilot, she should. If a boy wants to be a stay-at-home Dad, he should. There is no reason why anyone should be treated as inferior or with less respect.